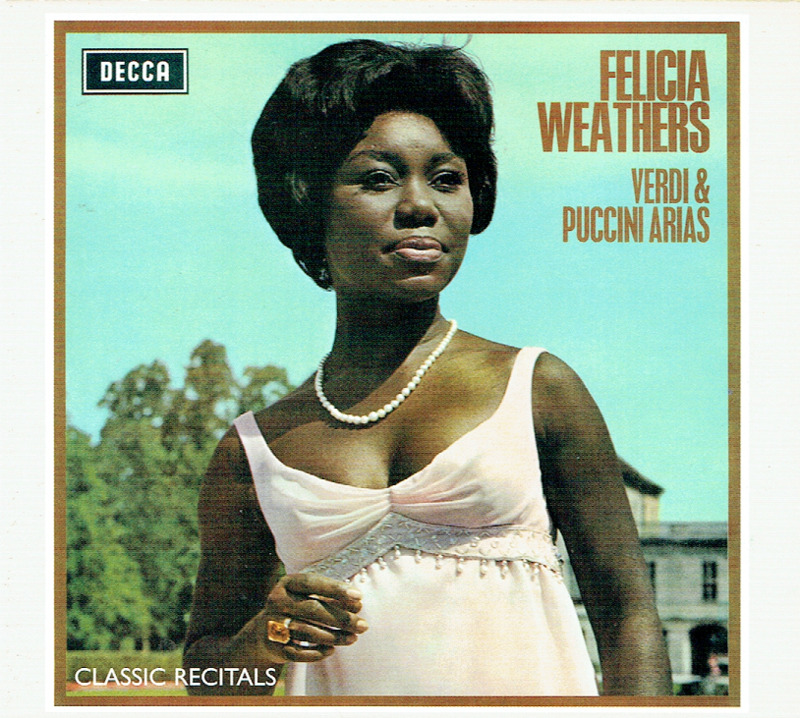 “From Decca's Classic Recitals series, here is an unusual item - American-born soprano Felicia Weathers' 1966 album of Verdi & Puccini Arias. Listeners based in the United States should be forgiven for not knowing of her - though she studied voice at the University of Indiana at Bloomington, her career was almost entirely centered in Germany and she recorded for the German branch of Decca. 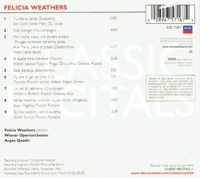 Weathers did sing for the Chicago Lyric Opera in the 1960s and made her Metropolitan Opera début in 1965, but voluntarily ended her opera career in 1972, reputedly owing to strain on the voice. She has remained active in German-speaking lands ever since, both as a teacher and recitalist. 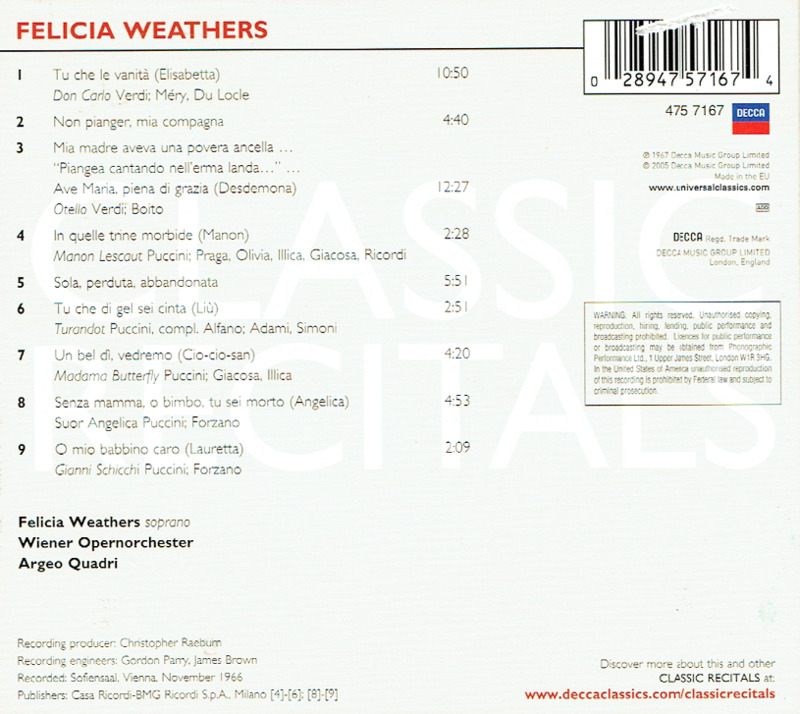 This disc, which is nearly an exact reproduction in digipak form of an album recorded in late 1966 features Weathers in familiar extracts from Verdi's Don Carlo and Otello and Puccini's Manon Lescaut, Madame Butterfly, Suor Angelica, Gianni Schicchi, and Turandot, a role for which she was particularly renowned.